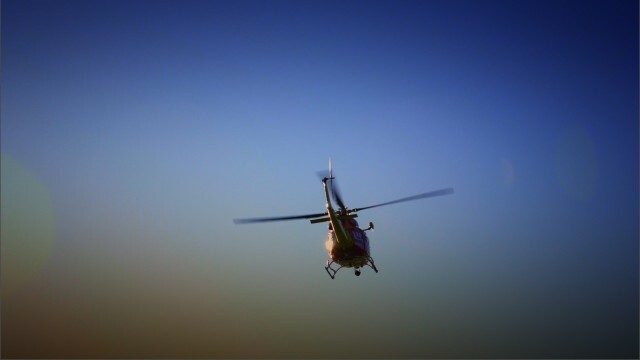 The charity TVC for the Westpac Rescue Helicopter Service is the first full project colour graded at The Film Bakery in DaVinci Resolve 9. For the last six years we have almost exclusively used a combination of the built in color correctors in Final Cut Pro and the plugins called The Grading Sweet, that I developed. 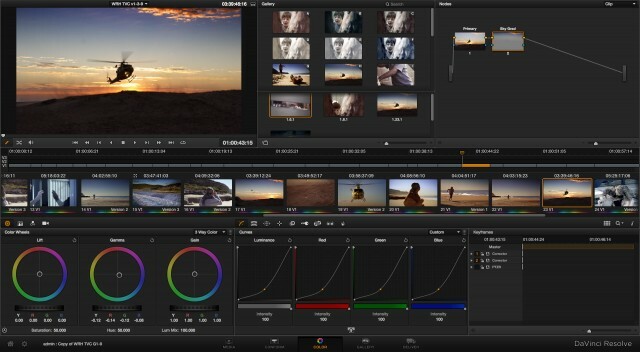 Since Blackmagic Design bought DaVinci systems, I’ve been watching with great interest as the Resolve software has developed and with the Beta release of Version 9 using it on a real project became irresistible. Out of Final Cut Pro we exported an XML file which imported smoothly into Resolve. 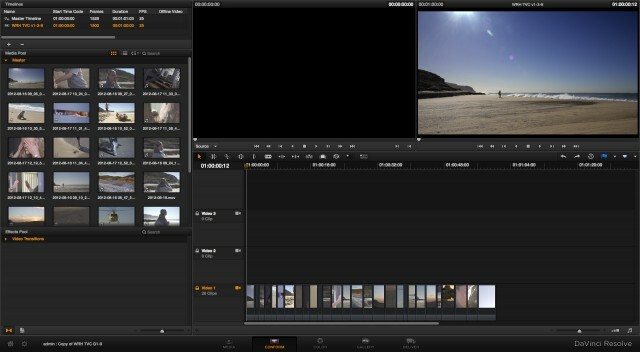 In Resolve’s Conform window is the opportunity to check that the edit and all the shots have imported correctly. The Resolve interface is the nicely dark grey that is becoming the standard for Pro Video software and has been a hallmark of DaVinci screens as far back as I remember. * Please note that this is with the unmixed rough audio. The first thing that strikes me about using Resolve is how much it encourages you to experiment. Much of this comes from the days when DaVinci’s were the sole preserve of specialist operator’s clients paying big bucks by the hour and so being able to experiment quickly. For me now, operating hands on and on a low cost system, that same capacity just encourages the creative process to really flow. For the beach “present day” shots we were fairly clear that we wanted a rich and dramatic look but firmly grounded in realism. So the primary grade for these shots was generally pretty simple a bit of warmth in the midtones and dropping the shadows to get a dense, filmic look. Resolve works with nodes which will be familiar to most VFX people but for editors or cinematographers it might be easier to think of the nodes as filters that can be layered one on top of the other. Within each node is basically the full power of the DaVinci colour correction system. Anyone who has done much colour grading will be instantly at home with the 3-way controls that give you traditional control over the Lift, Gamma & Gain (blacks, mids and whites) in both brightness and colour balance. You can grab any part of one of the wheels and tweak from it’s current balance. This works well because you don’t have to grab the point precisely but can quickly move from one wheel to another and click anywhere in the wheel. I tried this with an normal Apple mouse, USB Trackball and a Wacom Tablet and all three responded really well. The Wacom actually functioned in an interesting way, almost like gentle brush strokes nudging the balance this way or that something I got used to surprisingly easily. Holding the Command key whilst clicking and dragging the cursor over one of the colour wheels changes the brightness level of that wheel’s tones. This is a very functional compromise when working without a control surface. 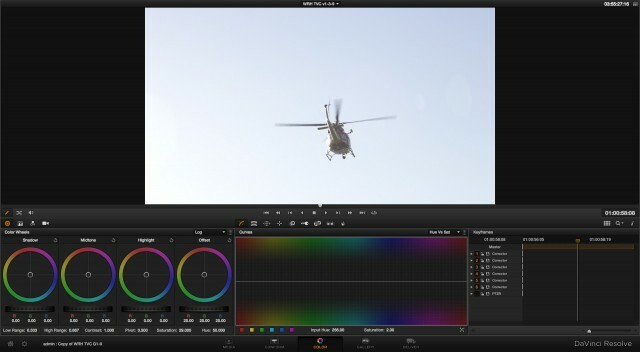 A new feature is Resolve 9 is the Log grading mode which gives more finely tuned control over Shadows, Midtones and Highlights than the telecine related Lift, Gamma and Gain but also adds an overall “Offset” wheel and level control. Although I used mainly the 3-Way controls on the actual finished grade of the ad, I think that with a bit more familiarity, I’ll be relying more on the Log controls in the future. Once we had our Primary grade on the beach shots we used additional nodes to add darken the skies and sometimes add a general vignette to add to the depth of the images. This was all done using Power Windows. When DaVinci first introduced Power Windows to their colour correction desks it became one of the most significant changes in the history of colour correction of moving images. For the first time film makers were able to do something that stills photographers had always been able to do and control different parts of the image separately. Some version of this is now common across virtually all grading systems (including The Grading Sweet) but the DaVinci version has always been superb. 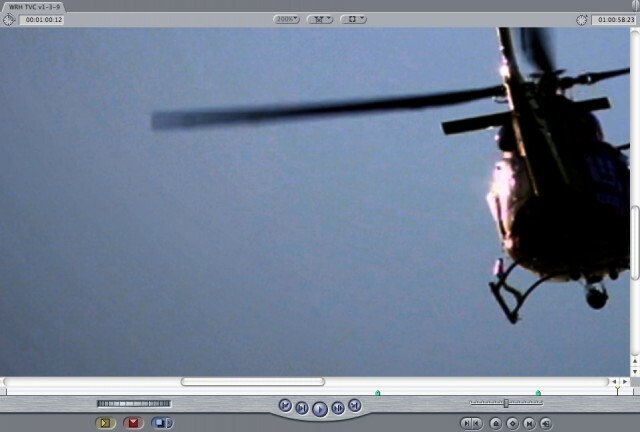 Frame grab with a Power Window visible. Across the centre of the color window is the thumbnail timeline and for me this does two things very well. It allows you to quickly jump around from shot to shot and the importance of this shouldn’t be understated. One of the biggest risks in the colour grading process is looking at a shot for too long. 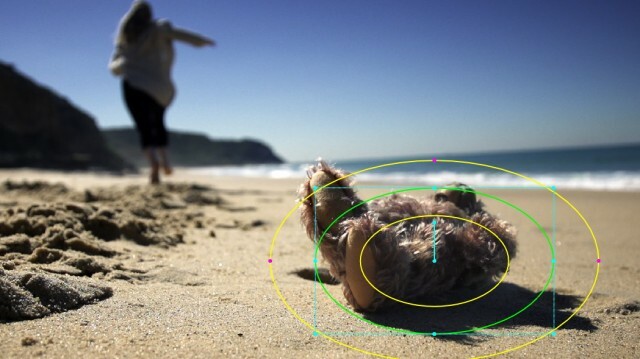 The human eye and brain adapts very quickly to a new visual baseline and working on a single shot for too long will have you chasing your tail before long. The thumbnail timeline makes it easy to jump to another relevant shot rather than just the next shot. So when we were working on the beach shots I could skip over the flashbacks to not get distracted by them. The other thing it does is give you a clear overview of the progression of the shots. As the grade takes shape, this visual progression becomes a great point of reference for how well the grade is working as a whole. On this project I found it particularly useful because we were “manufacturing” a transition from daylight to dusk and being able to see an overview of that transition dramatically sped up the process of refining it. The DaVinci team have now take this a step further with the Lightbox which fill the entire screen with thumbnails and on this project the Lightbox enabled us to see every shot at once rather than just a sequence of shots in the timeline. On a long form project this would allow you to scroll through and get a very good overview, while still having usefully sized thumbnails. The Lightbox view of the 60 sec. advertisement. Another function I really like is the Enhanced VIewer mode. For this grade we needed to work on a single, calibrated monitor and the Enhanced Viewer mode is a great mid-point between the Normal mode and going full screen. Enhanced Viewer hides the Gallery, Timeline and Nodes and shows only the colour controls, giving a significantly bigger image. You can toggle between Normal & Enhanced by using Alt-F and found myself using this function constantly. I often find it helpful in a grade to communicate in terms of “points”. This doesn’t have to be printer points (although Resolve does have this in Log mode). It’s just a great, simple term that people can quickly adjust to. So I would say to the director or client “this is 2 points darker in the shadows” or “this is 3 points more blue in the midtones” and they can easily reply with “then what does 5 points look like?” and it’s very easy to implement what’s been said and discuss whether you’ve gone too far or not far enough. With this in mind, being able to enter numerical values directly would also allow for precise and repeatable adjustments. It’s a small thing but would be good. The Tracker in Resolve is nothing short of amazing. In it’s default auto mode it detects a ton of tracking points and then follows them beautifully. To be able to add Power Windows and then track them to objects so easily really opens up the next level of fine tuning areas of the image. It makes you inclined to experiment with Power Windows on things that otherwise might be too much time for a subtle improvement. I’m sure there are times you’d switch it to some level of manual operation, but I didn’t find it on this project. 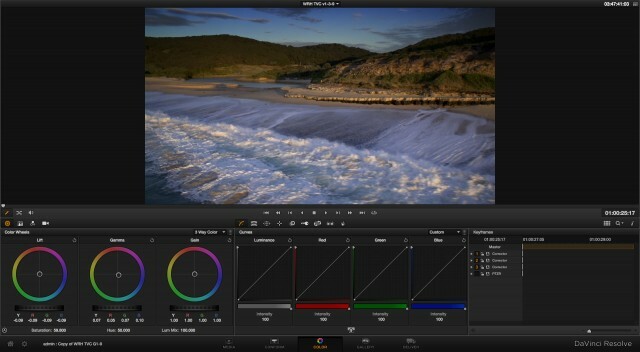 Curve controls in colour grading have become a very popular tool. They allow you to “grab” parts of the dynamic range and brighten or darken them creating a curve to the next point in the range. This allows you to create and control simple or complex relationships between different parts of the dynamic range such as brightening the highlights. 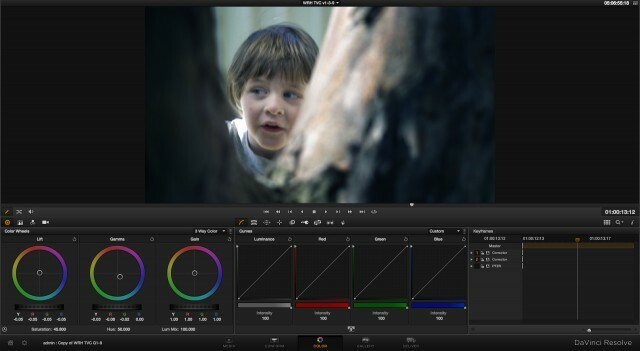 In Resolve these can be Luminance which controls all colours equally or you can unlock the Red, Green & Blue to create different curves for each colour channel. Curves can be very powerful but what they add in flexibility and a visual sense of the correction they also lose in the precision and repeatability of the 3-way controls. Having the two side-by-side makes it very easy to reach for the right tool in any given situation. I often used the curves to create a big, sweeping dip in the middle of the range with the vignettes and skies. This could have been done just as effectively with the Gamma control in the 3-way but was very quick and easy to do visually with the Luminance curve. Resolve 9 also adds a button to get a popup curves window that displays the interactive curves at roughly double the size. This is a great option for fine tuning a curve. There are also a number of other types of curves that can be used and one that I particularly like is Hue Vs Sat. This allows you to increase the Saturation of different parts of the colour (hue) range by adding points to the curve. We made a little use of this to get a bit more warmth from the sand in some shots and to play down the green of the grass in others. A Hue Vs Sat curve to boost the colour of the sand. When Clara first showed me the edit, she prefaced it with “you’re going to hate me when you see the last shot”! Although the edit now established a timeline that moved from afternoon to sunset, the final shot she’d used in full sun and had a completely washed out sky, hastily grabbed as the aircraft flew away after an approach shot. Even though the exposure was hot (about a stop over), it mostly wasn’t clipping but this was small comfort, especially coming from a highly compressed 8-bit source in 4:2:0 colorspace. But the momentum of the edit was great and really worked for the emotional impact of the final statement in the voice over, so I said that we’d make it work, without having a clue how that was going to happen. The washed out final shot before we attempted to make it sunset. What I expected to see as I put the first Power Window on the shot was a little bit of banding developing and some of the DCT compression blocks to become visible. A deliberate example of banding and visible compression blocks. The example above was created later in Final Cut Pro using a number of 8-Bit filters and zoomed in 200%. These artefacts were actually quite difficult to get clear in FCP, which tells me that there is also something very clever going on in the NEX FS700’s processing. In Resolve, I ended up adding two different blue sky Power Windows for variations in the shading, a sunset Power Window bottom left to maintain the continuity and the two separate vignette Power Windows to add overall shading and depth. It kept working so we just kept going until we wanted to stop. All I can think is that the combination of Resolve’s 32-bit internal color depth and it’s unique YRGB colorspace is doing something very powerful with how it handles a shot like this. In the original footage the sky was entirely within the top 20% of the dynamic range. So from an 8-bit image that meant we were down to 51 different shades of colour values (per channel) in the whole of the sky. The end result was that we were able to take the image stylistically exactly where we wanted it to go. The grade on the final shot with 5 Power Windows in action! The combination of this sort of processing power coupled with the freedom of a desktop system allowing you to push a shot beyond what you thought were it’s limits but then walk away and come back to it with fresh eyes and refine that look is very exciting. If you click through on the image below to the full resolution image, I’m sure you’ll be amazed at the subtleties of shading that are visible. If you want to go pixel-peeping and have a really close look, there are some imperfections in this frame and this is where a higher bit depth, lower compression camera would have an edge. But if you’d asked me before this project whether it was possible to get that end result from an AVCHD camera running 28 mbps, I would have said that that it was simply impossible without stepping over from colour grading into full visual effects. The flashbacks of the mother and child having fun were a crucial part of making the audience invest emotionally in the fate of the missing child. They needed to be distinctly different to the main beach look and yet still have a visual appeal. We knew all of this going into the shoot, but there wasn’t time for Clara to fully develop the elements of a look in pre-production as she would normally do. 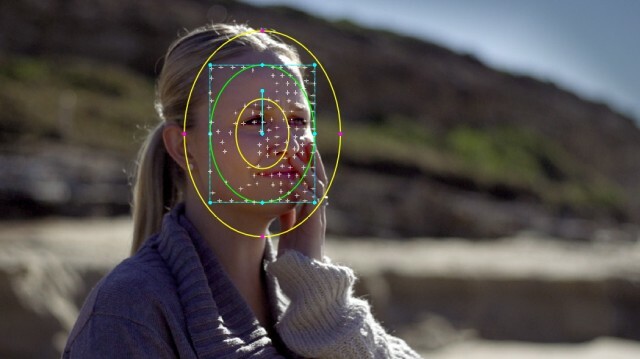 So we shoot pretty a neutral style on the assumption that the look would be found in the colour grade. In this process there were two features of DaVinci Resolve that worked particularly well. The first was the memories and the second was clip versions. In the end we went through six distinctly different styles for the flashbacks and each time we settled on a look I saved it to one of the memories to then apply to each of the other flashback clips as a starting point for tweaking it to that shot’s requirements. Without a control surface using the memories is still very easy, using the Alt key and one of the numeric keys to save a complete grade and Option and the numeric key to recall. Many times I’ve watched a colorist working with a DaVinci desk in a telecine or digital intermediate suite working with the memory function and it’s always seemed an efficient tool. The keyboard shortcuts and the visual representation in the gallery view make it very quick and easy to save a copy complete grades between shots and then to use this as a jumping off point for tweaking that shot. Once we had pretty quickly locked off the present day shots, I started using the memories to store the different versions of the flashback look. The Memory thumbnails for the 6 looks. As we continued, I discovered how easy and powerful the clip versions tool is as well and if I was doing the grade again I would definitely set up clips versions for each iteration of the look. This would have allowed us to switch between each of the versions on any of the shots without having to tweak for the character of that shot. Right clicking on a shot in the thumbnail timeline brings up a contextual menu that includes a list of the versions, from there you can load and save versions as required. With these two features, even as we were experimenting with the sixth version of the look, it was still very easy to go back and compare it to our earlier attempts and make sure we weren’t going in circles. What I found was that this really encourages experimentation and exploring new ideas because it removes the risk or hassle involved in going back if you end up somewhere terrible. On this project it was a huge advantage as we searched for the flashback look. Through this process we settled on a look that was contrasty, desaturated and cold but with a Power Window around the edge of the frame that started off as a pretty conventional vignette. Through the first three versions of the look I was using this to darken the outside of the frame to add some shading and extra depth to the image. Clara kept asking if we could make the images “lighter” or more “airy” and I was about to remove the vignette but didn’t want to lose the variations in the shading that it provided. Eventually I realised that we could use it the other way to brighten the outside of the frame and this unlocked the direction we settled on. It’s a funny thing but when a look works, it often falls into place across the various shots much easier that the previous attempts and that was certainly the case with this project. When I started doing some of my own colour grading about ten years ago the DaVinci way of doing things was always my benchmark because whenever I sat in the telecine suite and watched the colorist at work, it was always on a DaVinci. But, as a cinematographer I would never actually get my hands on one directly. Now, the very powerful “Lite” version is free and runs on a desktop computer. There is a lot of controversy at the moment around the cinematographer’s role in relation the the grading process and I’m not about to dive into that here. I do believe that in the near future the cinematographer’s relationship to grading will need to become much closer to what it is with camera operating. Personally, I like working with a good camera operator and there are projects where that’s the best choice. There are other times when budget or workflow or other factors mean that I’ll be operating and I do enjoy the direct connection with the camera and being right there, controlling the moment of capture. At the moment I’m choosing to do most of my own grading and that does give me certain level of guarantee that I won’t be left out of the process. When I do work with a colorist it’s because there’s value in the collaboration and benefits to the workflow, not because I need them to press the buttons. 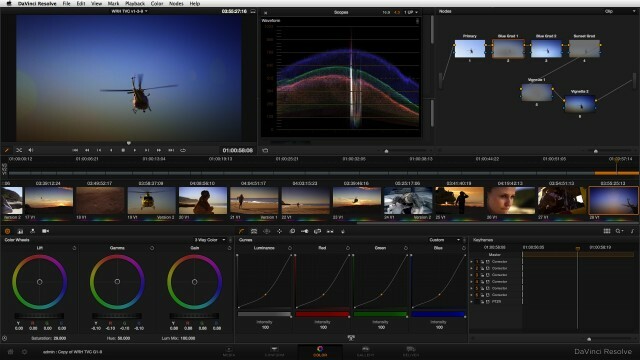 DaVinci Resolve has now made it practical for any cinematographer to develop their skills with high level grading. As with being able to operate a camera, it also aids the communication process immensely when you’re not hands on. Will I use The Grading Sweet anymore? Definitely. For certain projects I still find it very efficient to be able to grade directly in the timeline for one thing. Will I continue using Resolve? Every chance I get. 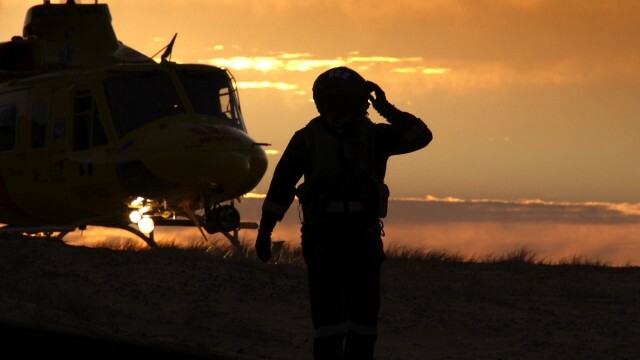 On the Westpac Rescue Helicopter TVC it gave us a level of creative freedom and real picture quality benefits that simply changed what was possible and allowed us to work at a creative pace at the same time. 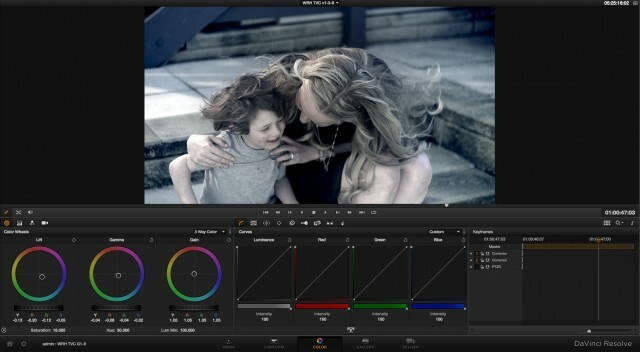 You can download the DaVinci Resolve project & ProRes Media.